I'm working on my Block of the Month quilt, I swear! I did get a little behind though, due to life getting in the way. But I'm slowly working on getting back on track! I've got 3 new blocks to show you, but first I want to talk a little about what I'm doing with this thing. I'm also not putting these blocks into a standard block of the month layout. (Straight sets? Boring. 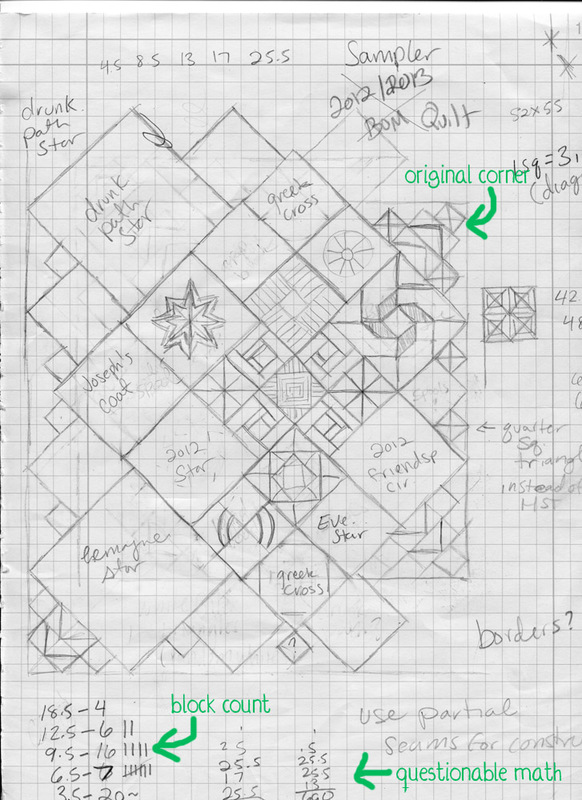 The weird layout the craftsy 2013 quilt has? I'm not going to say anything.) So I pulled out my graph paper and went to town. I think I drew up three or four layouts before I found one I like. Even this one went through several versions before I settled. you can see my original corners on the right. 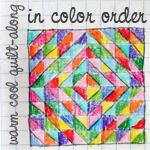 I then discovered my math was off, and the quilt I thought was going to be around 60x66 would actually be 40x50. Which is a size I have no use for. I first enlarged the quilt by adding more of the 12 inch blocks, but it still wasn't big enough. So, I am going to make some super large 18 inch blocks! I put all the blocks on point, well, because I love doing it. I cant say why, but it makes almost everything look awesome! My favorite part is that the blocks get larger as they radiate out from the center! I am aware of some of the issues I'll come across when piecing this thing, but I'm pretty sure its doable with partial seams. Lots of them.